How much is downtime costing your company? Do you know what it costs you when your website or online applicatie is unavailable? Is downtime as bad as everyone says? And can you reach 100% uptime? Answers to these questions are in our free eBook on uptime. 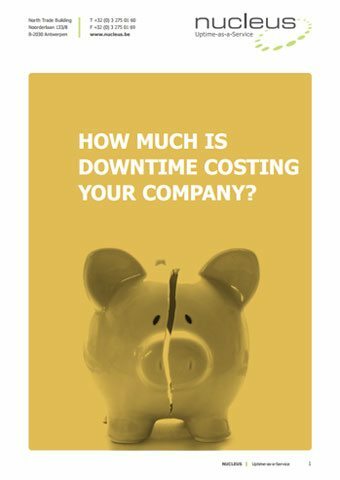 Home > E-books > eBook: How much is downtime costing your company? Is it possible to never experience downtime? And is it necessary? What’s the difference between Infrastructure-as-a-Service, Platform-as-a-Service, Software-as-a-Service and Uptime-as-a-Service? Want to discover other interesting eBooks? We can keep you informed when we publish a new eBook.